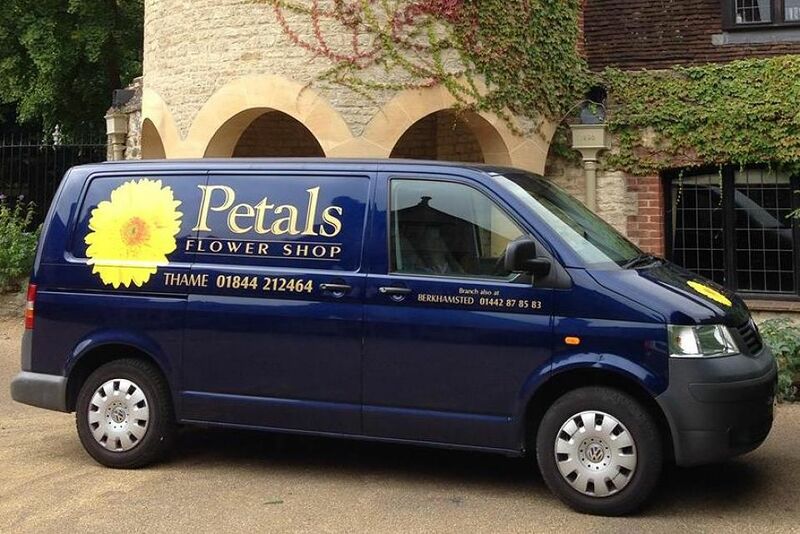 You’ve probably seen our delivery vans out and about in Thame and Berkhamsted. We deliver within a 10 mile radius of both, including parts of Oxfordshire, Buckinghamshire, Hertfordshire and Bedfordshire. If you are close to the 10 mile boundary please call us and we’ll do our best to help. We love delivering flowers; who wouldn’t enjoy seeing the smile our flowers bring to the recipients face? Our delivery costs depend on distance so please call or contact us if you would like a quote or estimate to a particular location or are unsure if we can service your area.